Kevin Pearson met with a group of elementary students in February 1991, stressing the importance of setting goals and accomplishing those goals, The Altus Times wrote. Pearson was going into his sixth season as a pro. He was also coming off of a season shortened by a broken leg, The Times wrote. The Times didn't detail Pearson's goals. One, though, presumably was one he had yet to achieve at that point, making the majors. It was a goal Pearson would never achieve, his career ending with the 1991 season. Pearson's career began in 1986, taken in the eighth round of the draft by the Reds, out of the University of Oklahoma. At Oklahoma, Pearson made the All-Big 8 team in 1986 at shortstop. The year before, Pearson hit a home run in a May win over Nebraska. In April, Pearson hit a game-winning grand slam. With the Reds, Pearson started with rookie Billings. He hit .327 in 59 games. He moved to single-A Tampa, his average dropping to .255. At single-A Greensboro in 1988, Pearson hit .285 with 72 RBIs. In May, Pearson hit a ninth-inning home run that proved the difference against Sumter. 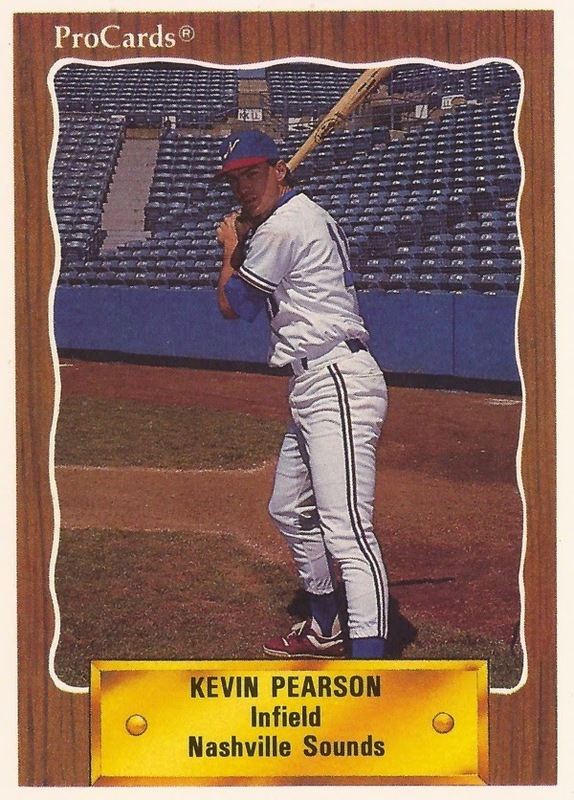 Pearson moved to AA Chattanooga in 1989, then AAA Nashville. Between the two, Pearson hit .258, with five home runs. In July, Pearson told The Oklahoman about his jump to AAA. "I went from being an older player on a double-A team to a young kid on a triple-A club," Pearson told The Oklahoman. "I've taken bus trips throughout my whole career. Now I get to fly." Pearson split the next year again between Chattanooga and Nashville, getting into 98 games before breaking his leg. He returned to Nashville in 1991, getting into 91 games, hitting .240, ending his career short of the ultimate goal of the majors.